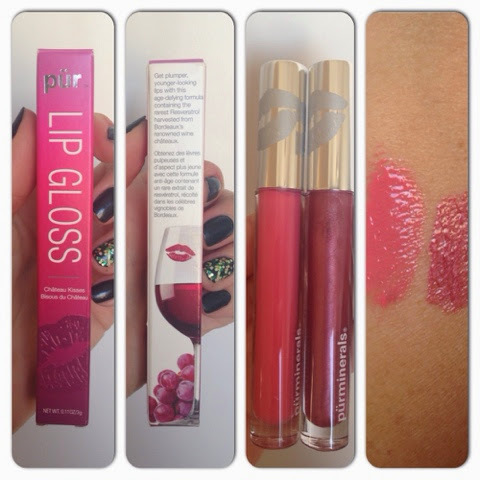 Lip plumping lip glosses and anti-aging lipsticks! Chateau Kisses Plumping Lip Gloss ($ 18) and Chateau de Vine Mineral Lipstick ($ 18) were created to perfect your pout with richly pigmented color and the rarest, vine fresh Resveratrol. 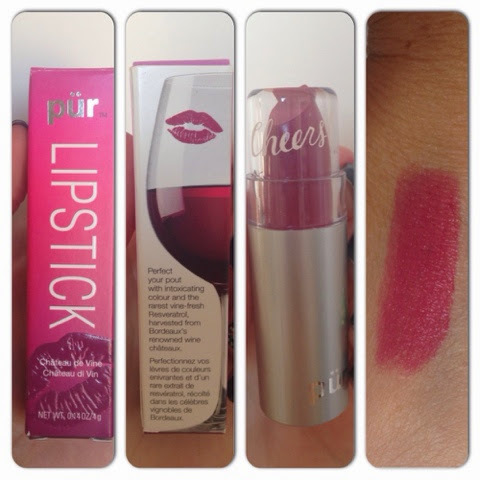 Harvested from Bordeaux's renowned wine chateaux is now being brought straight to your lips! Cheers! Chateau Kisses Plumping Lip Gloss are available in 8 colors and Lovestruck and Glitzy were sampled. Chateau de Vine Mineral Lipstick's are available in 10 different colors and Starlet and Show Off are pictured below. 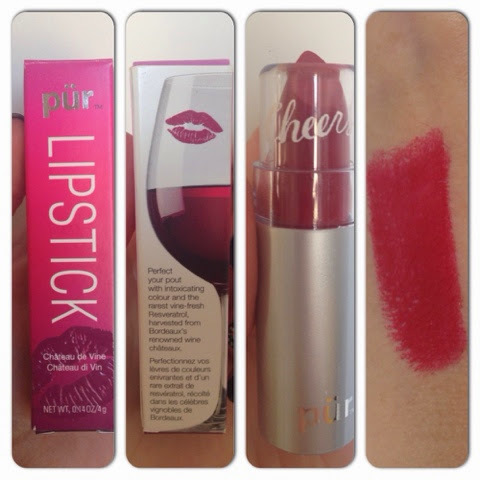 Pür Minerals does NOT test its products on animals. Available at ULTA stores and Pur Minerals.